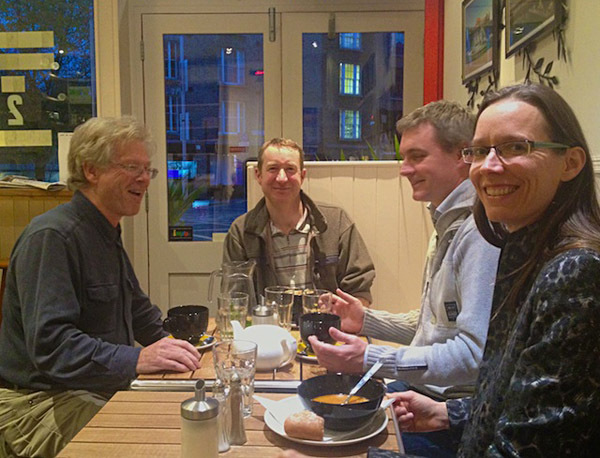 Tea with Richard Hayes, Gavin Duffy, and Brian Bowe after the College Education Seminar wrapped up. Happy Halloween! I just got a call from Trish Long, who leads Disney’s branch here in Ireland. We met at Zumba class at the elbowroom a couple of weeks ago. She called to invite me to RTÉ Concert Orchestra: Psycho – Live! Hallowe’en Night at The National Concert Hall in Dublin. What an awesome way to follow up yesterday’s seminar and last night’s musical evening at the Cobblestone. At the Cobblestone, I got to hear Tom’s brother, Alfie, play alongside three of his kids. Alfie’s daughter (seated to the left in the video) is studying Medieval Irish History and Architecture. She’s a student at Trinity College, and an excellent candidate for a Fulbright, I’d say. Enjoying music and good conversation, with Nancy Stenson, Susan Early, and Joan Cahalin. Tom Mulligan is there, too, in the background. Just as a crowd of instrument-carrying appeared to join Alfie’s family in the musicians corner, a bunch of my friends showed up, too. I spent a lovely evening talking with Fulbright Nancy Stenson and architects Joan Cahalin and Susan Early. 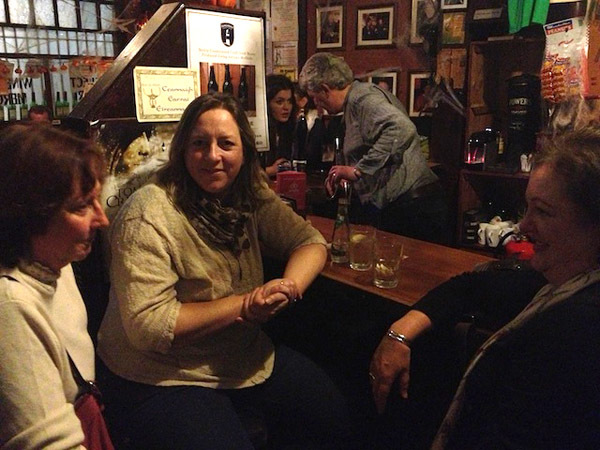 Nancy and Joan both have degrees in linguistics, so we got to discuss Nancy’s research (she’s diagnosing where students have the biggest problems with Irish pronunciation in order to help teachers teach Irish more effectively). Nancy has authored several textbooks on Irish language already, though she never mentions it herself. I always do–because it’s fascinating! When they left, I visited with three generations of a family from Brooklyn who are celebrating birthdays this week (one turning 21, one 50, and one 92)! They were there along with a relative from Dublin. I can’t believe how good life has been to the lot of us! It’s ten o’clock (somewhere). 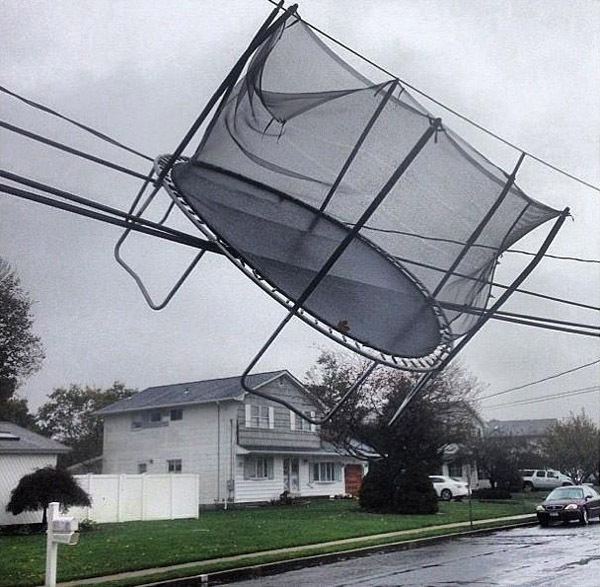 Do you know where your trampoline is? Can’t say I’m sorry to be missing this storm back home. All is still fine at our home, Dave says. (We just chatted on Facetime.) He’s still working away. As am I. In the meantime, I checked Facebook and thought I’d share this outlandish image from Milford, Connecticut, with my friends here in Ireland. It’s a little window into what life is truly like in the US of A. I live in a neighborhood a lot like the one pictured. 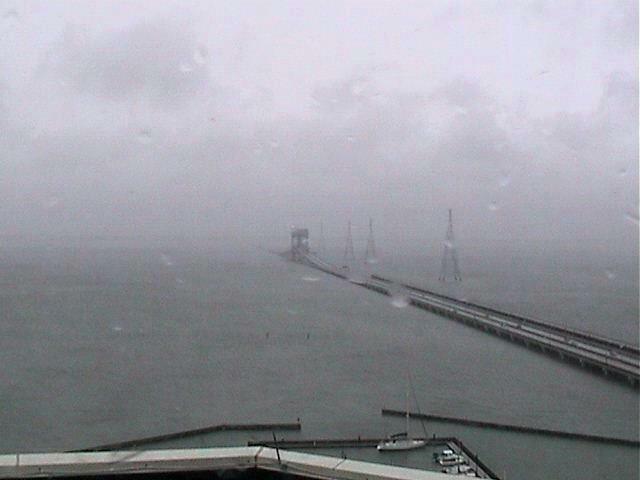 The James River bridge nearly underwater. Image posted on Facebook yesterday by Operation Homefront of the Virginias. There’s a huge hurricane barreling toward the east coast of Virginia today. Everything there is closed and Dave is hunkered down at home with the kitties. So that means he’s fixated on the computer screen for the day. Fortunately for my little workaholic, his power supply hasn’t gone out. We live in the coastal area of Virginia, but our home is six blocks from the water. Since we’re on the mouth of the Elizabeth River rather than the ocean front, we’re not susceptible surges (historically speaking, that is). Our home isn’t in the “100 year flood plain,” although the ones on the next block are. 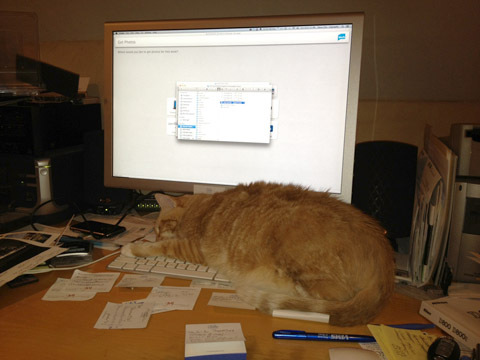 When Dave did leave home last night to grab sushi for dinner before the big part of the storm hit (that’s how people without kids prepare for a storm, by the way), he came home to find our cat Sienna asleep on his keyboard. He’d been keeping it nice and warm for her! It’s very, very quite here in Dublin, too, and it feels a lot like hurricane days at home. Here, it’s a “bank holiday.” Many places are closed. I haven’t left the house. In fact, I only stepped out twice in three days, and just for short jaunts (yoga and brunch). 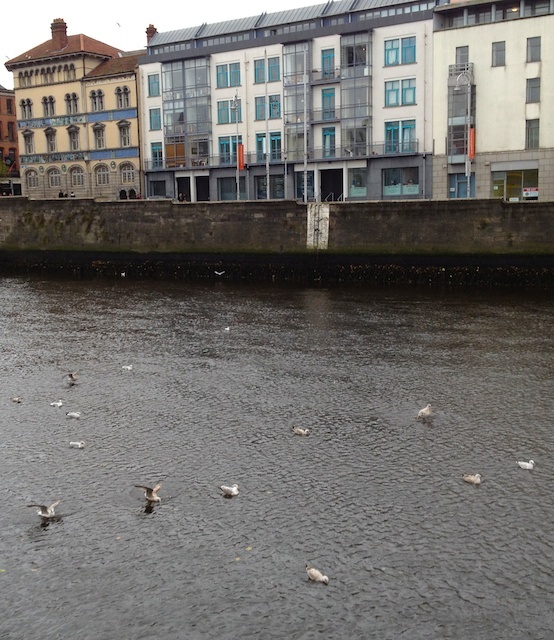 The weather in Dublin is glum and drizzly. Which is actually okay, as I’ve spent the weekend working up lecture outlines, a Prezi file, a recommendation letter, and transcribing and making some progress on proposals for possible talks and exhibits. If some of those come through, I’ll get to travel to “the Continent” to speak. That will be fun! I’m posting a memory from Rome to rekindle memories of a sunny day in Rome. I’ve been keeping up with the people who commented on the sketch via Facebook throughout the storm. 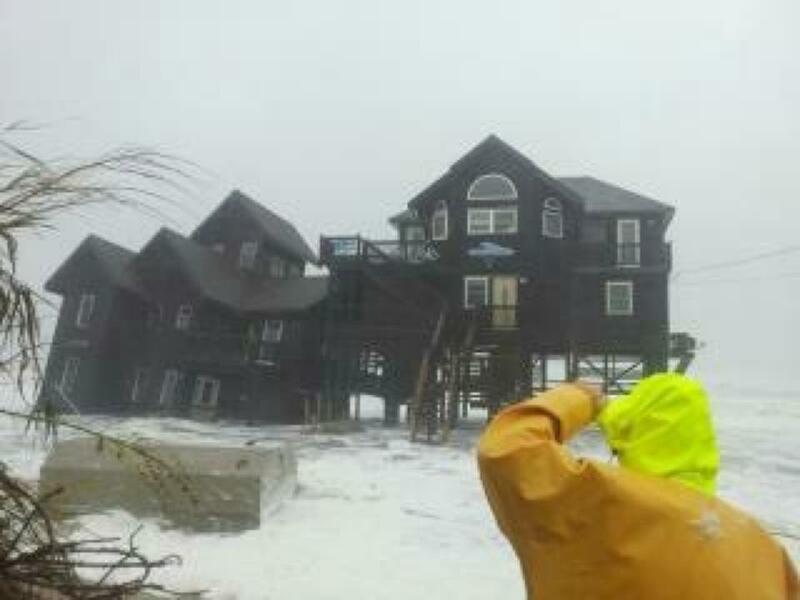 Thankfully even the one who lives on the ocean front (Chris Bonney) is okay at this point. He’s still posting view of the storm…. A photo posted to Facebook by David Waterfield. Taken near Buxton, North Carolina yesterday. Siena asleep on Dave’s computer yesterday. 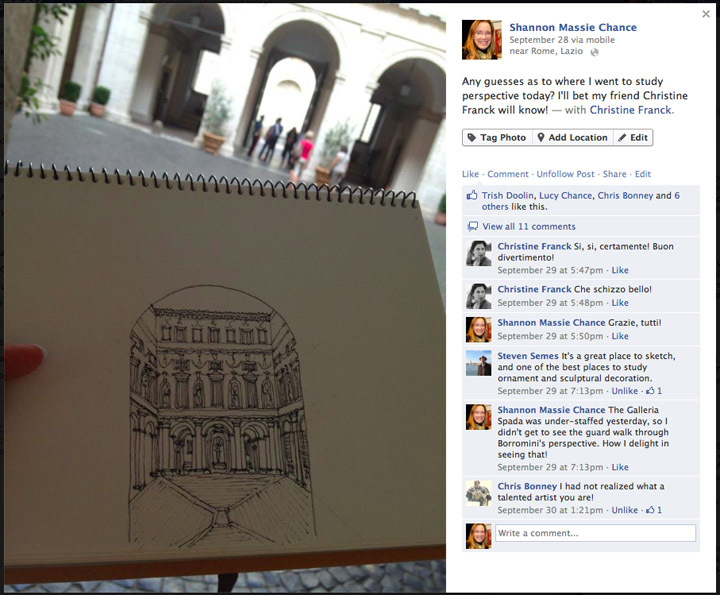 A sketch I made in the courtyard of Rome’s Spada Gallery, home to the famous Borromini perspective. I’m mourning the loss of Eden. Last night ended Daylight Savings Time in Ireland for the year. The shift to Dark Evening Time is a sad event for me each year. It’s particularly poignant this year, because I’m living so far north that the days will be very, very short soon. Perhaps fortunately, I’ll be home for the very shortest of days this year, and I’ll get to eek out a little more sunlight than I would here. I spent the entire sunny day yesterday working at home and needed a change of scenery. So, to help address my doldrums, I headed out for breakfast. 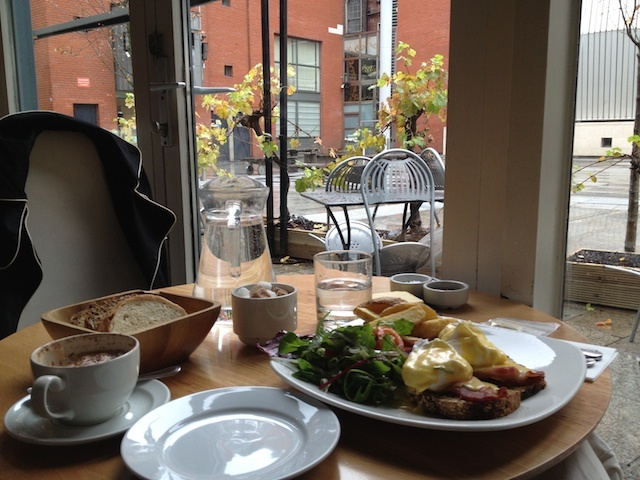 Since I can’t seem to find Sunday brunch in my neighborhood, so I wandered down to Temple Bar and found myself in Eden. Yum! 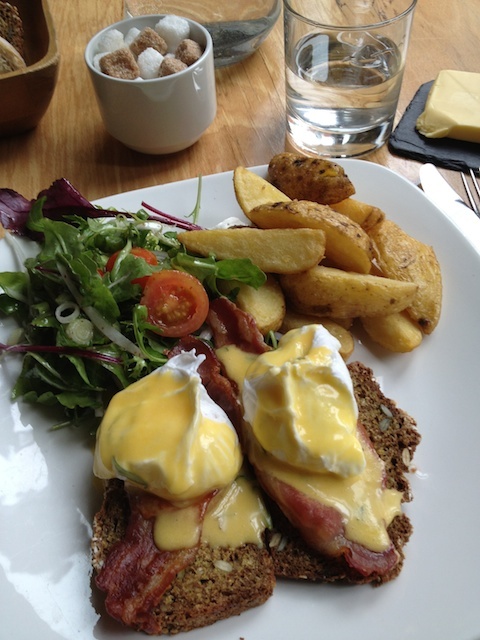 Eggs Benedict, Eden style. What more could a girl want? 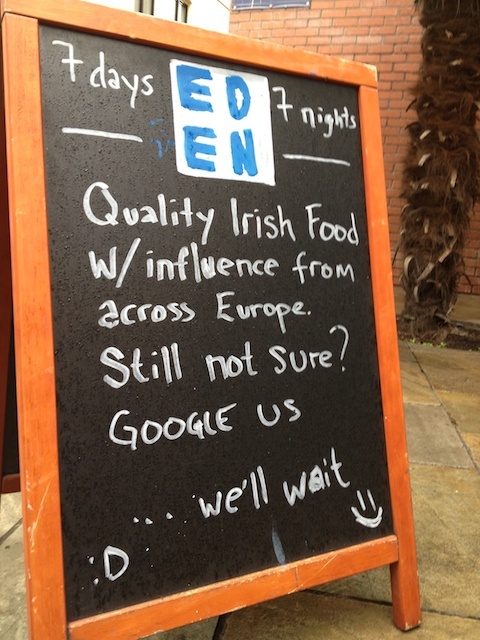 Eden prides itself in Irish cuisine fused with European flair. Funny, eh? I’ve heard two people (one an emigrant from the US) say Ireland may well become the 51st state. 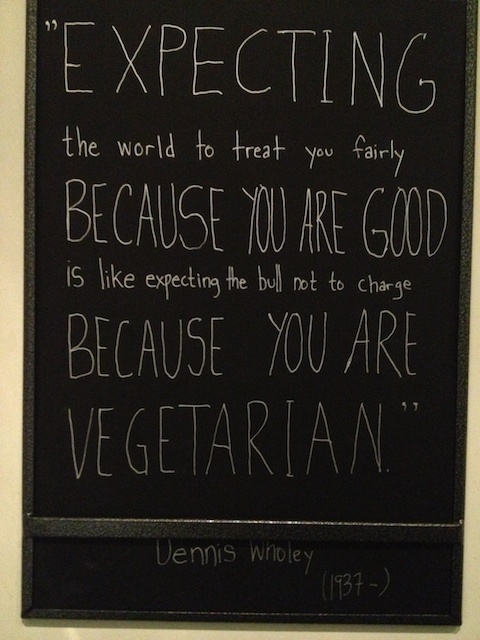 It seems to align more and more with US culture every day. 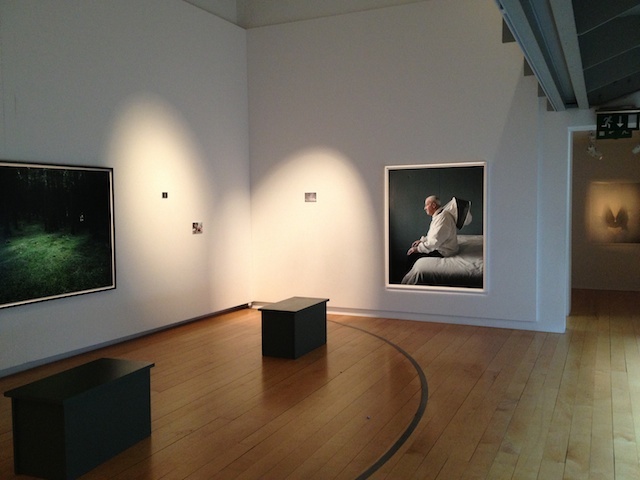 Although if we loose Obama, there will be a wider gap in values between the Irish and US ethos. 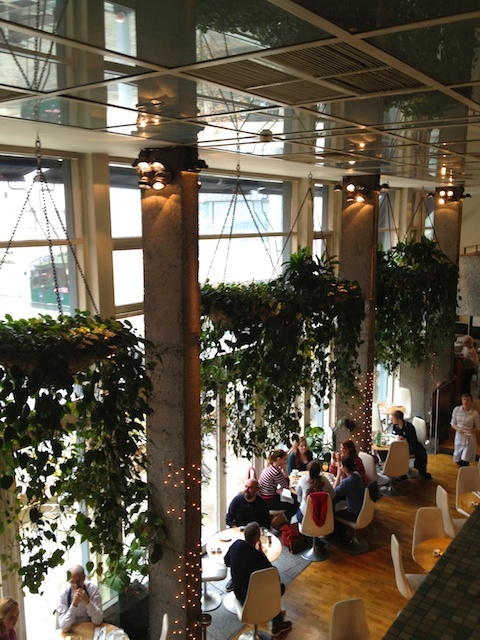 I’ve attached snapshots from breakfast (Eden is a very nicely designed place) and from my walk home… flip through them and pretend you’re here walking with me… imagine the smell of Guinness wafting through the air as you stride down the River Liffey. 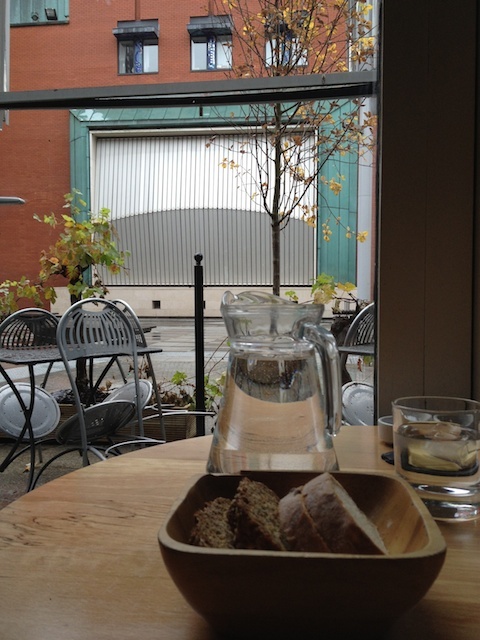 Table for one with a view of Meeting House Square. Texting Dave when breakfast arrived. 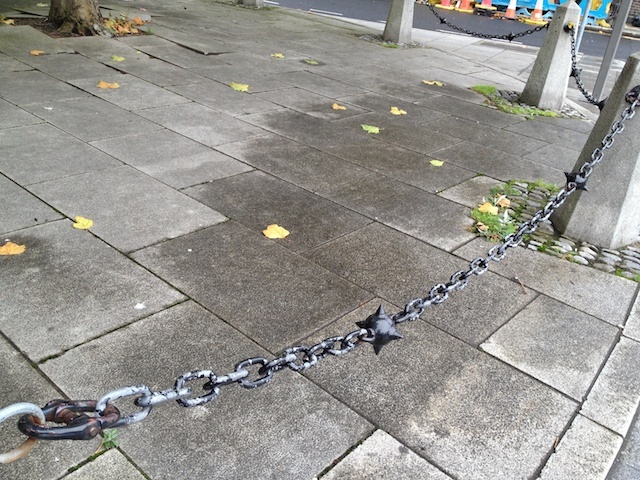 Outside the Four Courts there are symbols of fortitude! 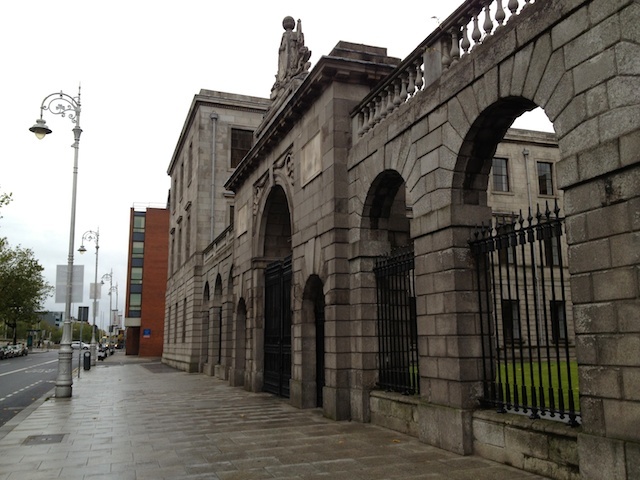 One corner of the Four Courts complex. 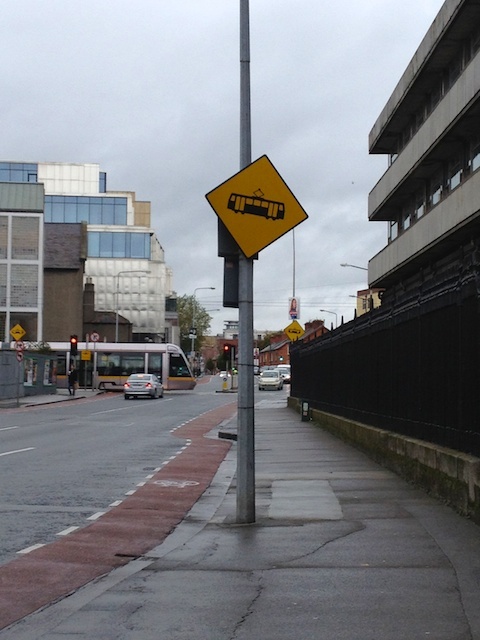 Dublin is working hard to coordinate it’s various modes of transit. As a pedestrian, bicycle rider, and bus user, I insist they have a long way to go. The tram and train systems seem to be getting there–but the discontinuous bike lanes, lack of courtesy among automobile drivers toward pedestrians crossing streets, and never-on-time Dublin Bus route 83 really need attention. 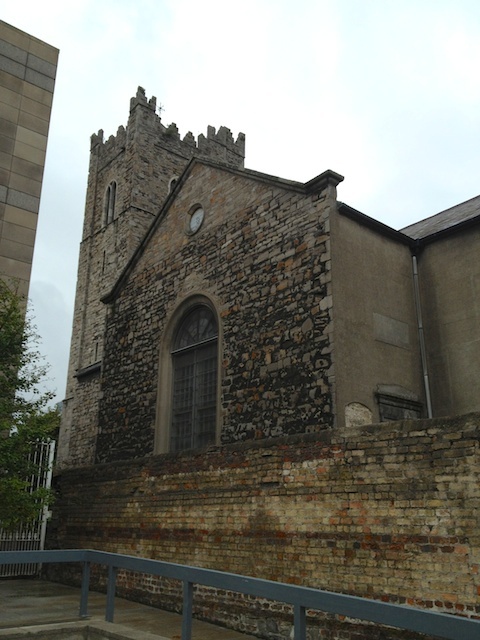 I’d hoped to get inside St. Michan’s church today, but opening hours are limited. I’ll show you that cool place soon. Helpful advice posted in the rest room. A view from the balcony in Eden. 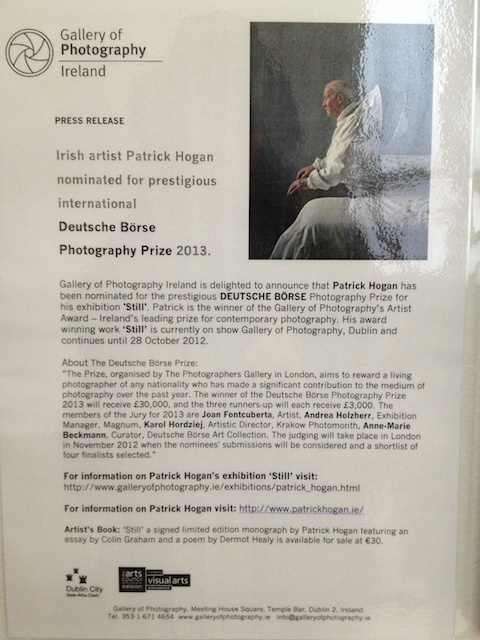 Taking in a show at one of the fine photography galleries on Meeting House Square. This photographer’s work is highly acclaimed. 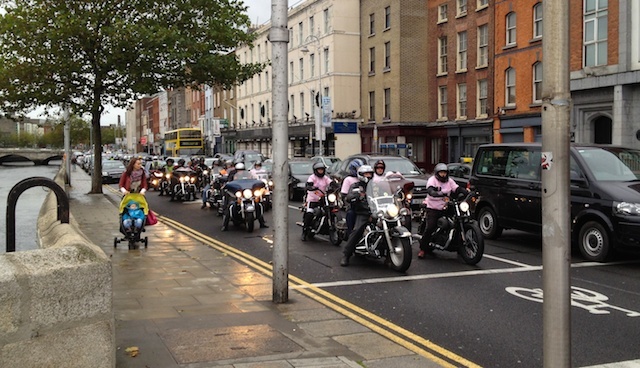 A few of the bikers riding today to help end breast cancer. These birds had found a school of fish and were splashing around with their prey. 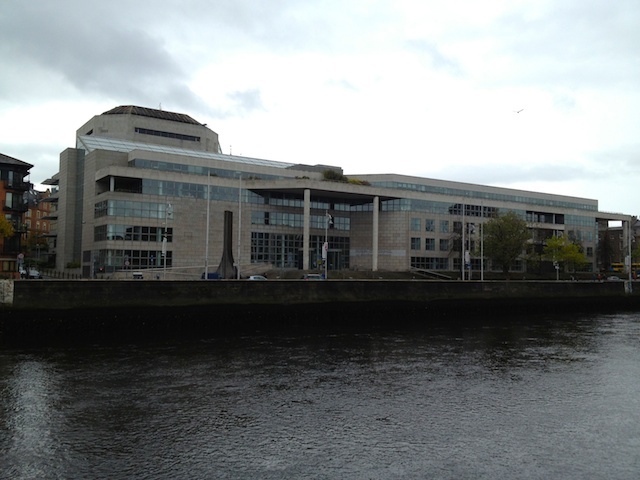 The Dublin City Council building stands in stark contrast to the delightful city around it. There is a nice atrium inside, however, and so working there might be as viewing the place from outside. Funny that Gavin and I discussed diagramming gears (an idea I brought up over lunch), then this model popped up at the Cork students’ exhibition. I never know where I’ll end up when I leave the apartment. 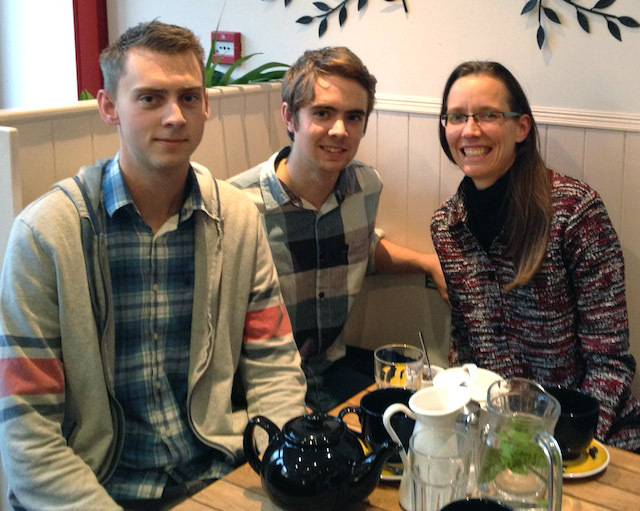 Yesterday, after scintillating lunch conversation about Gavin’s thesis and a book proposal I am trying to develop, I hustled back across town to meet with architecture student leaders Colin and Andrew to discuss where our interests overlap. Andrew, Colin, and me at the Sab Inn Cafe (it’s the one I refer to as the Hungarian restaurant but the students call the red cafe). The owner gave us complimentary desserts to go with our tea! He’s such a doll! I’ll get to help spread innovative ideas–that have been implemented by Gavin and his colleagues–with the architecture faculty and students. I’ll also share the things Michael Seymour and I found in our survey of student preferences. 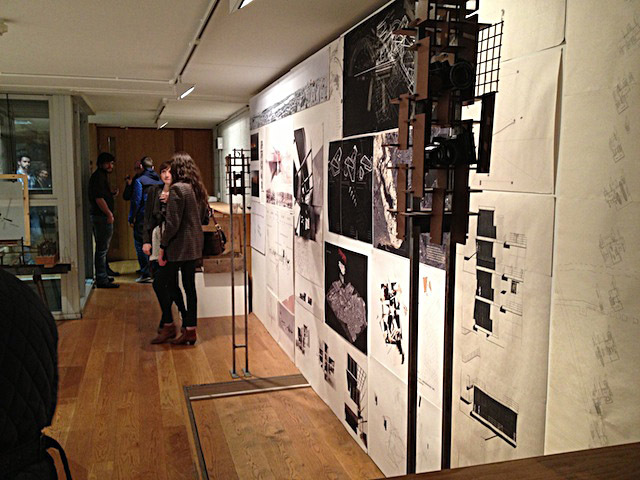 Colin and Andrew mentioned I might want to stop by the “darc space gallery” where the School of Architecture at Cork was exhibiting fifth year projects. Finding that gallery was harder than you’d think. Google had it listed as being on South Great George’s Street, but it’s actually clear across town on NORTH Great George’s Street. 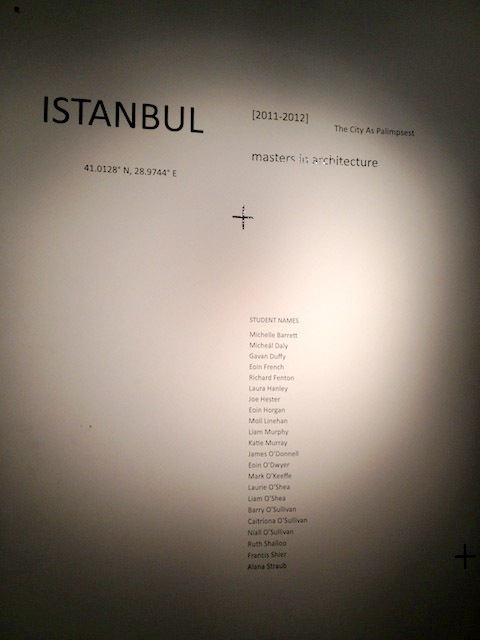 I hung in there, and when I finally arrived I found beautiful graphics, interesting design proposals for Istanbul (they reminded me very much of the work I did in architecture school in the early 90s), and many wonderful people to talk with. 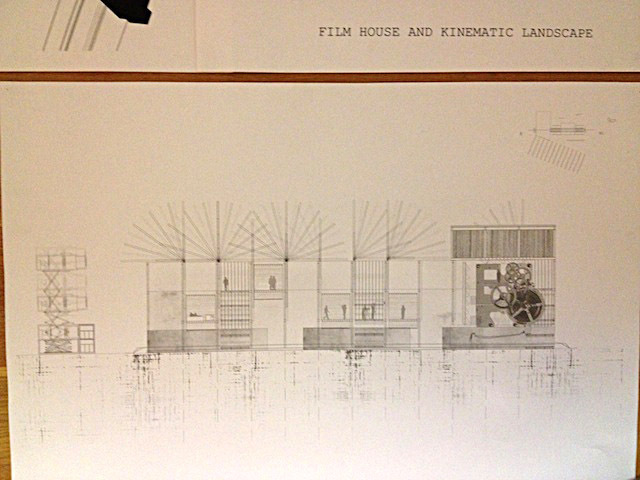 Their primary teacher for the fifth year, Jason O’Shaughnessy, studied at the Architectural Association in Edinburgh, Scotland when Peter Eisenmann and Daniel Libeskind were teaching there (I was working on my Master’s at Virginia Tech at the time). 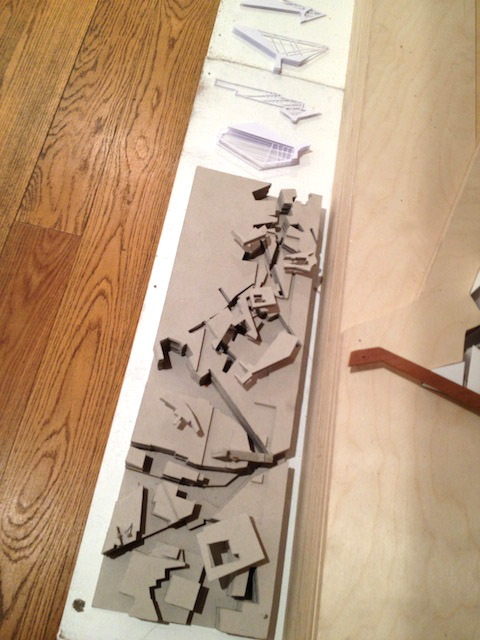 Any way, the influence of Eisenmann and Libeskind is quite clear in the students’ work. They say the spent the four years leading up to this designing buildings with very typical sorts of programs, such as schools. Jason O’Shaughnessy actually insisted that I guess his last name. It took a while, but I finally succeeded. His only clues were that it was “the most Irish last name,” and that I was on the right track with O’Sullivan. Whew! 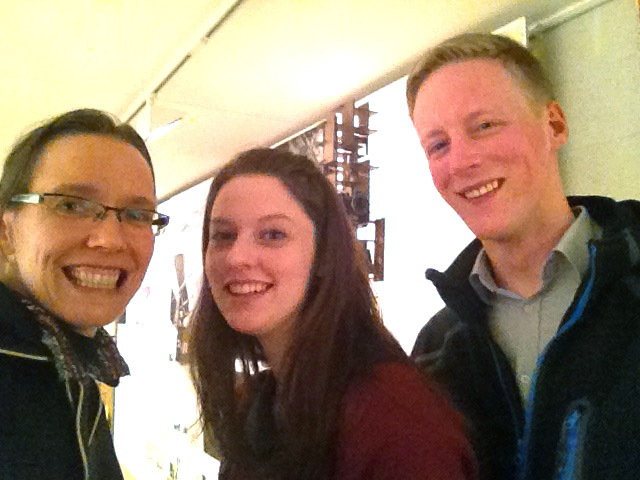 I had a ball talking with Helen (who works in TV and film production in Dublin) and David (an architecture student from the DIT). During the event, I particularly enjoyed speaking with David (a DIT student who I heard speak several weeks ago as an opening act for the featured lecturer), his girlfriend Helen, and another colleague of David’s from the DIT. They expressed astonishment when I said I could happily live here in Dublin for the rest of my life. People here have no difficulty conceiving of emigrating OUT, but they don’t assume others would want to immigrate IN. That, despite the fact that hundreds of thousands of people did just that–move in–during the Celtic Tiger (and most stayed, happily). 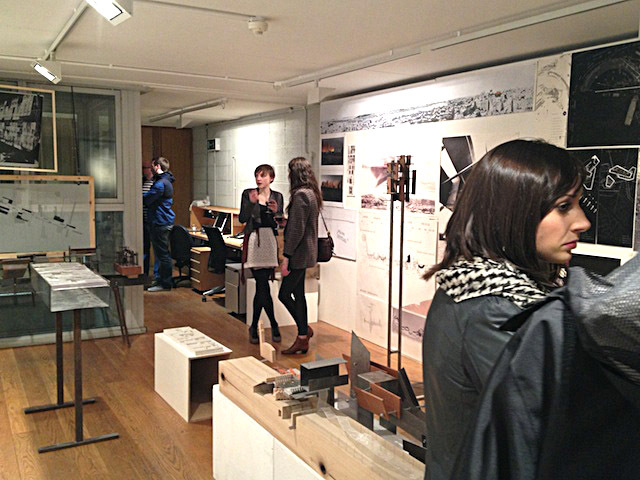 Exhibition of work from Master’s of Architecture students from Cork. 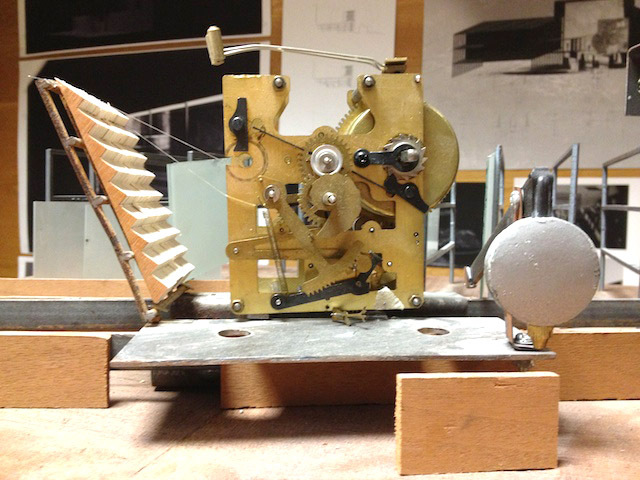 Funny that Gavin and I discussed diagramming gears today (an idea I brought up and wouldn’t let go), then this model popped up at the Cork students’ exhibition. A drawing for the project that used the gears. 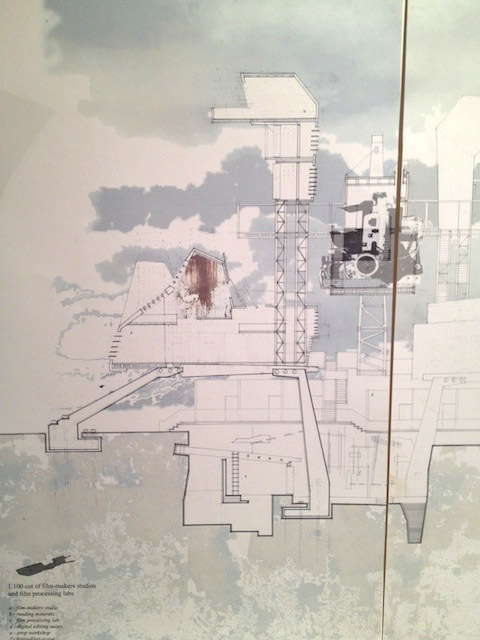 Perspective drawing from the gear project. They cut the layers by hand, just like I did in school. 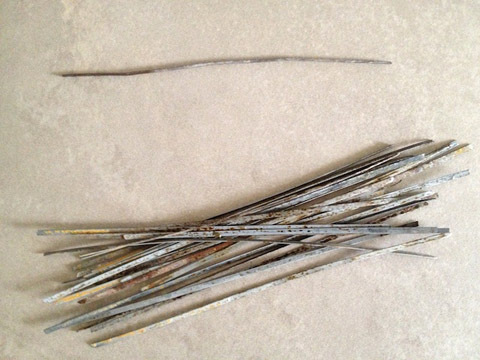 No laser cutter short cuts here…. 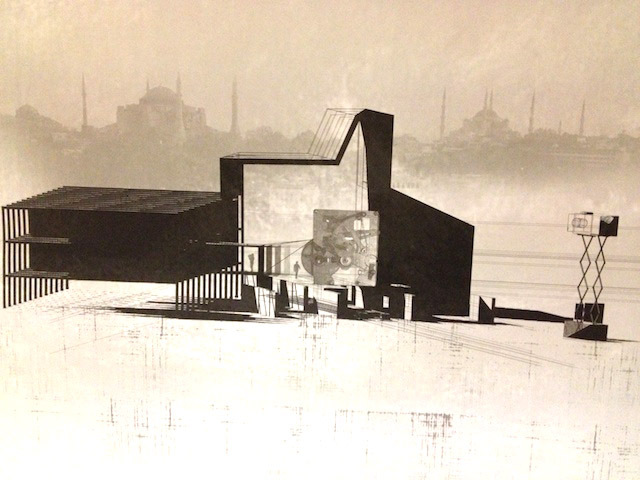 A beautiful graphic depiction of a building designed by a student from Cork. 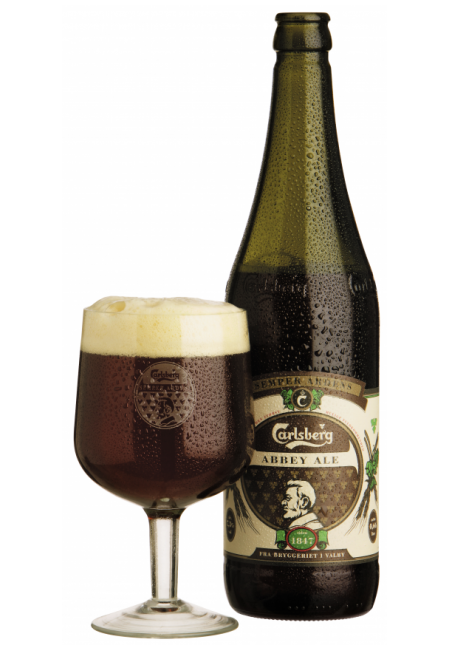 Semper Ardens Abbey Ale by Carlsberg. 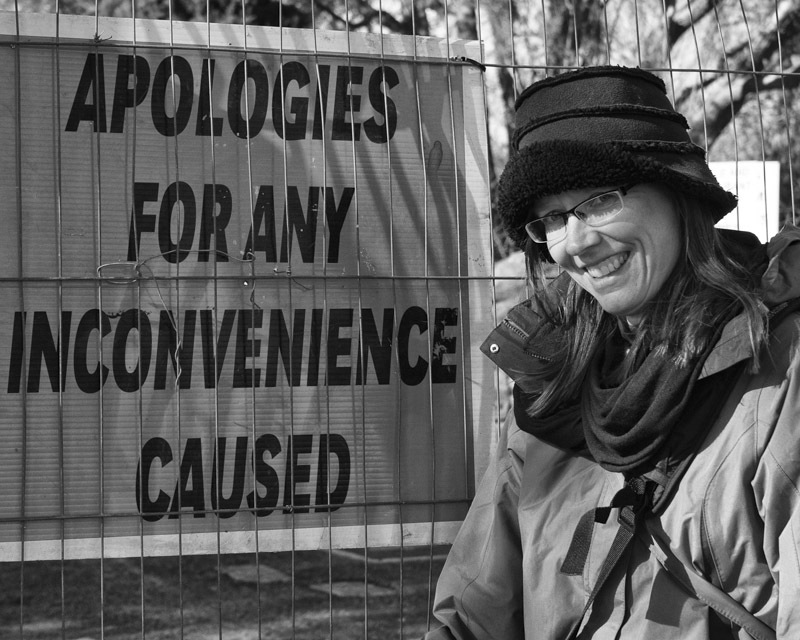 The Irish are typically this polite…. This sign announced the castle was closed for restoration. 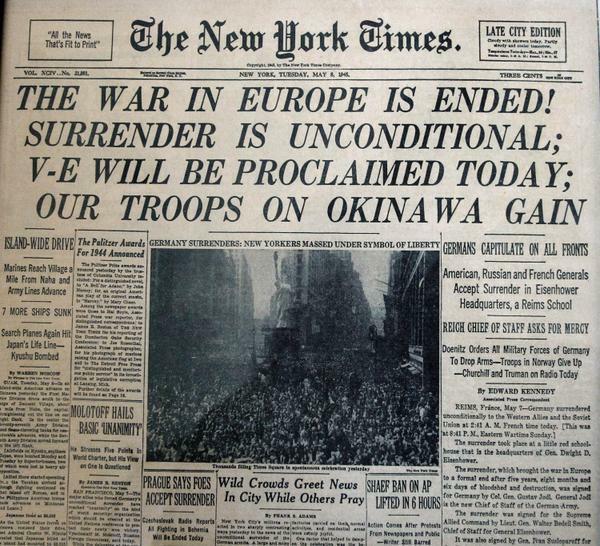 Paper celebrating end of war in Europe. I’m not wild about spending months apart from Dave, but there are so many fun ways to communicate theses days using the web. They make it much more bearable than the year I spent working in Switzerland (1997) without him. 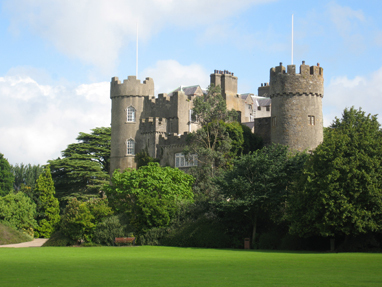 A photo from our March 2012 day-trip out of Dublin to see Malahide Castle (top). It was, unfortunately, closed at the time. Wish we’d have had a closer view of the castle (below the castle). davechance.com is a ‘premium’ domain name. Yikes! Guess that’s what happens when you have a “web presence.” Companies buy your name hoping you’ll buy it back. Thanks to the Irish for Halloween!?! Thanks to the Irish for Halloween, and to Michelangelo Buonarroti for the ceiling of the Sistine Chapel, says The Week magazine. 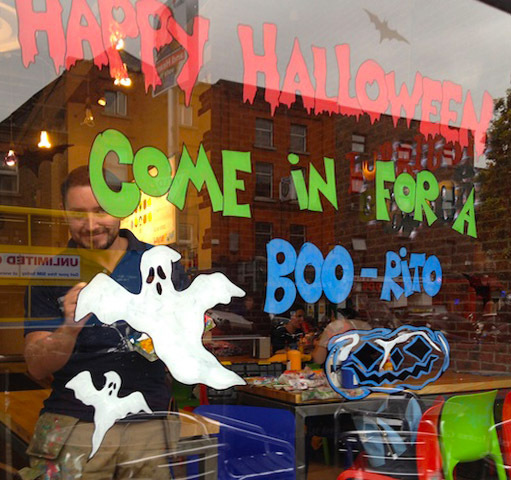 that Gearing up for Halloween in Dublin. Photo by Shannon Chance. Michelangelo painted the entire ceiling in just four years. It was frustrating, backbreaking work. There’s a really amazing website with a 3D version of the chapel that lets you spin around as if you were there. You shouldn’t pass up seeing this fantastic, interactive model. 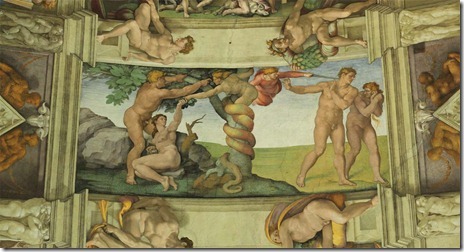 Image from the Interactive Sistine Chapel Garden of Eden website. Please check it out! Yesterday, I posted images of three of the winning HRACRE development projects that Dave photographed. 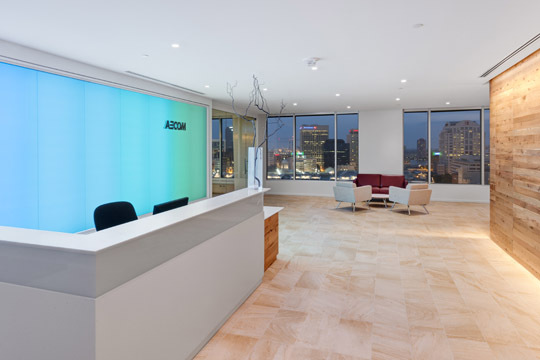 Today’s I’m sharing images of the two other projects that won awards; including the AECOM project that the jury praised so highly in its statement. 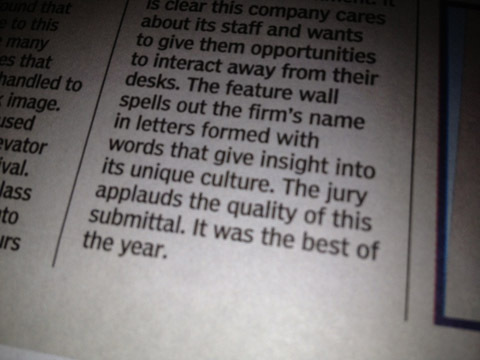 Praise from the HRACRE jurors for the awards package submitted by the team that included Hourigan Construction, AECOM architects, and Dave Chance Photography. 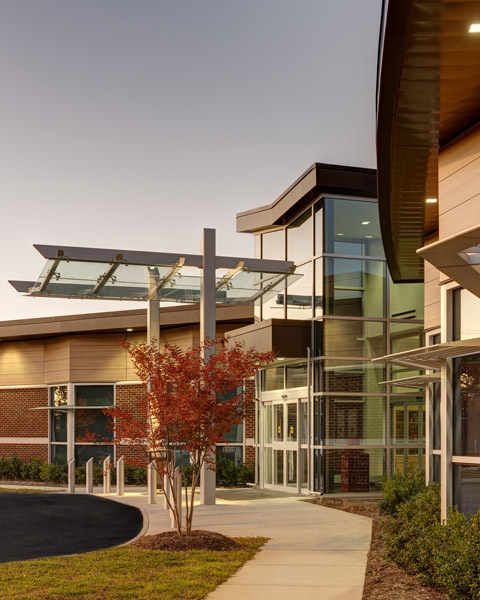 Lake Taylor Transitional Care Hospital designed by PF&A. Image copyright Dave Chance Photography. The highly-praised award proposal submitted by Hourigan Construction for the team’s work on AECOM‘s Norfolk Headquarters. Photo copyright Dave Chance Photography. Any thought on what there are? I collected them all today. Humm? What could they be?